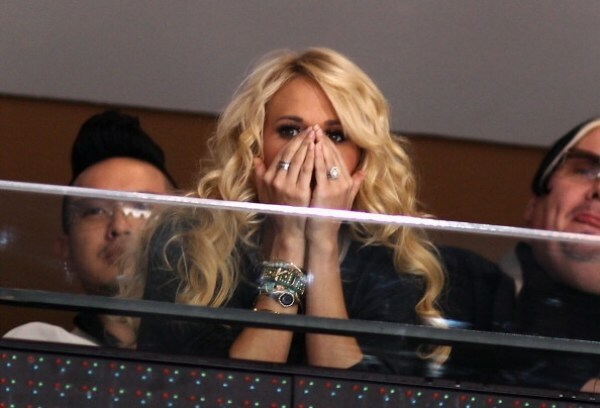 I know, I know…this headline comes as a total shock, but it turns out that Carrie Underwood ISN’T perfect after all. And on top of that, she’s the one who told the world about her imperfection. However, what she doesn’t have is a perfect pumpkin pie. 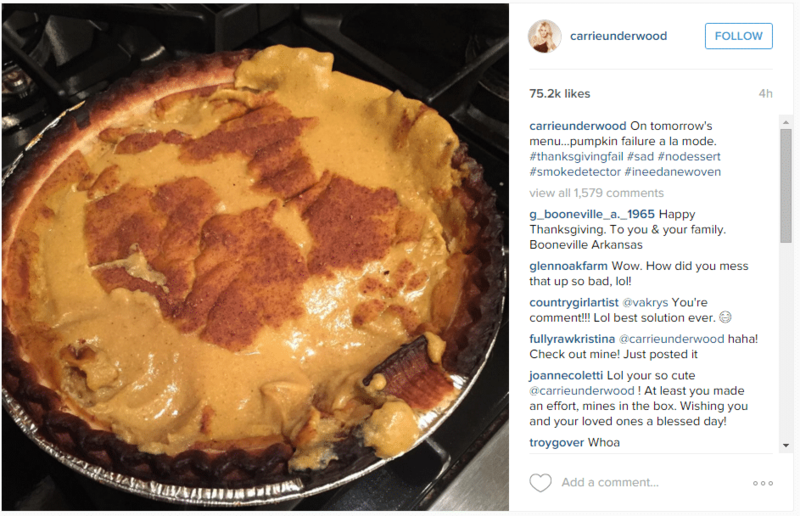 The “Smoke Break” singer took her lyrics a bit too literally this evening, setting her pumpkin pie ablaze. Ick! Hopefully she’s got a perfect bakery on speed dial, but if not, she’s got plenty of other things to be thankful for this year, so who needs a pie?